It’s cold outside! 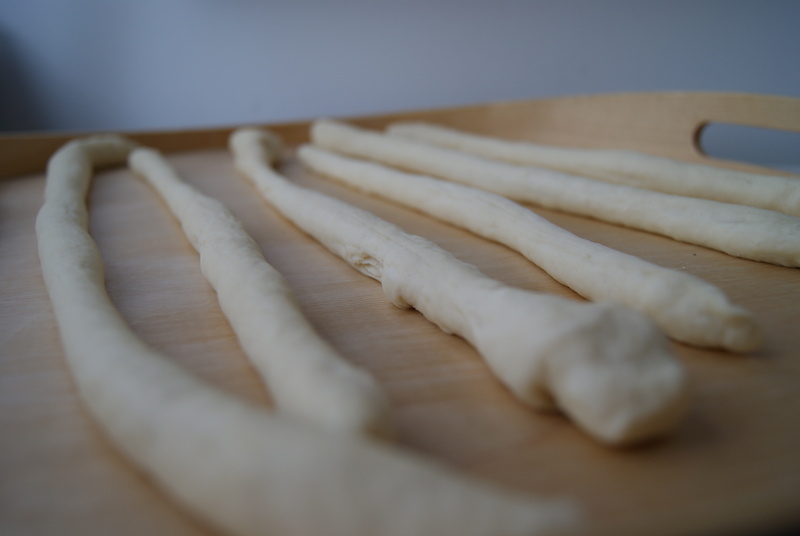 Why not stay inside and make pretzels? 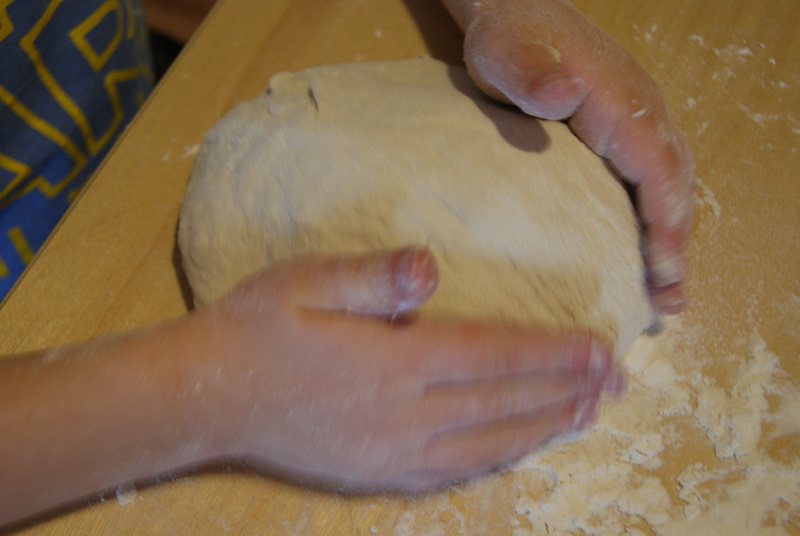 Let the dough rest for about 10 minutes and then stretch it again. Repeat 3 times if you can. 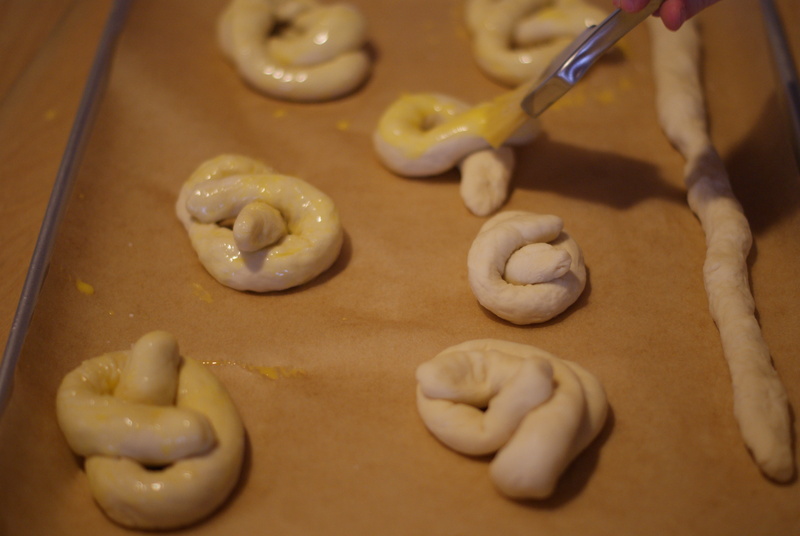 Then twist them into pretzel shapes, or any kind of shape, really. And put them in the oven at 425° for about 12 -14 minutes. Voilà! 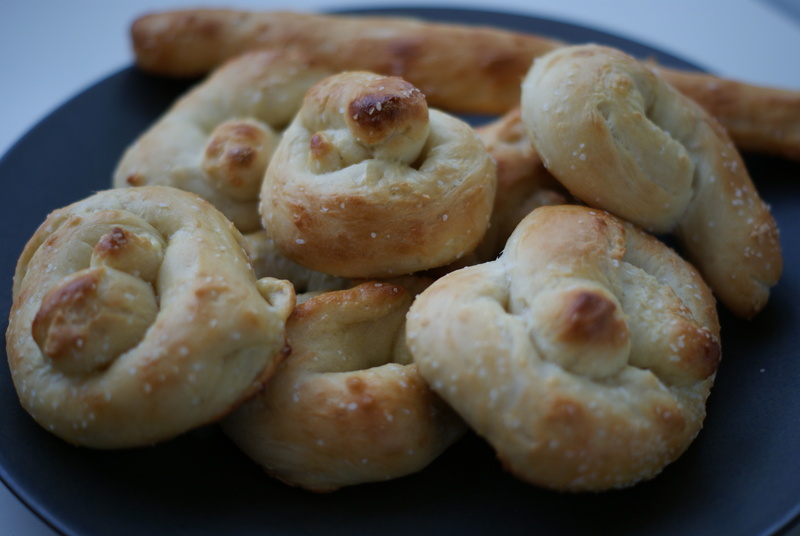 You should have lovely, chewy, salty pretzels. Full disclosure: this cooking project was a lot of fun and perfect to do with my elementary school-aged children. However, what I don’t have a photo of is the moment that I dropped the tray as I was putting it into the oven, spilling all our perfectly formed pretzels onto the hot oven door where they started to sizzle whilst I had a minor meltdown. 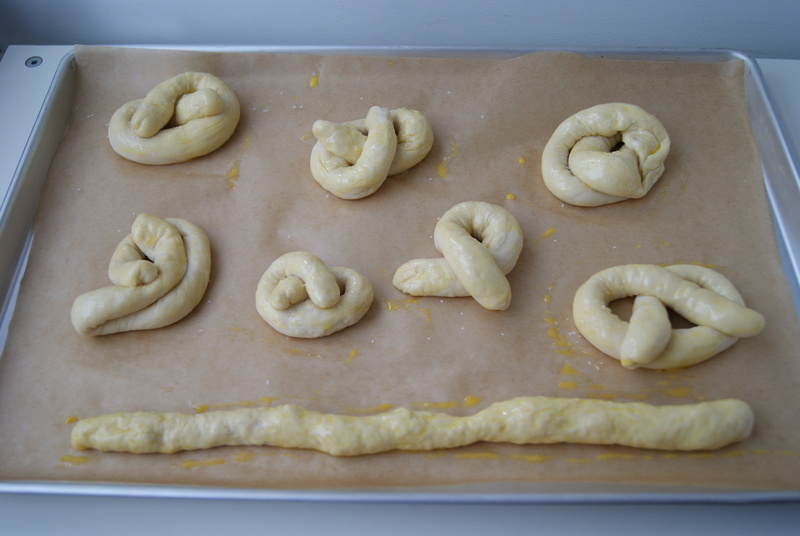 In a moment of clear-headed gallantry, my husband swooped down, grabbed the melting dough and immediately started to reform our pretzels and saved the day. They were still delicious. For a complete recipe, click here to visit the Growing Chefs website and find out about the amazing work they are doing! This entry was posted on January 23, 2011, 10:23 pm and is filed under kids, kitchen. You can follow any responses to this entry through RSS 2.0. You can leave a response, or trackback from your own site. I expect pretzel appetizers for our big schnitzel dinner! Done! 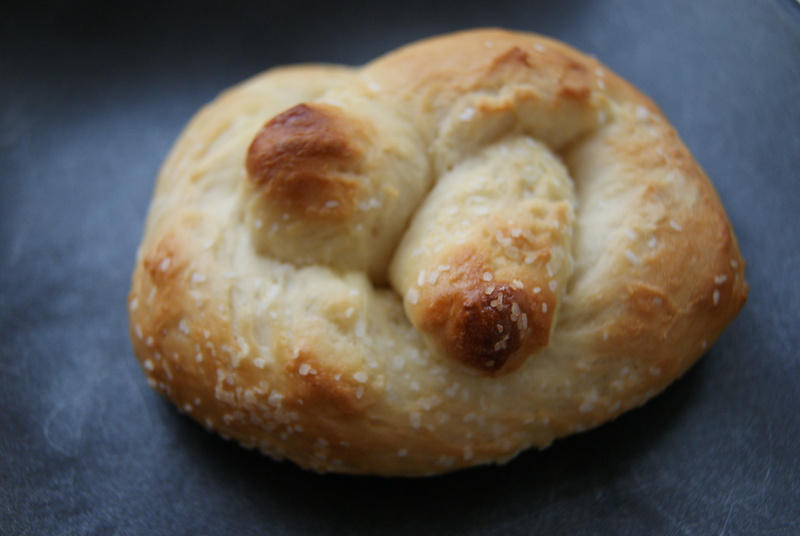 Pretzels and Schitzel are like chocolate and peanut butter. Mach schnell!